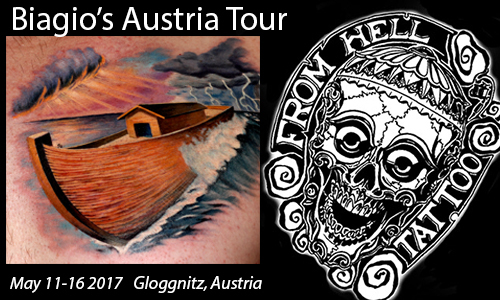 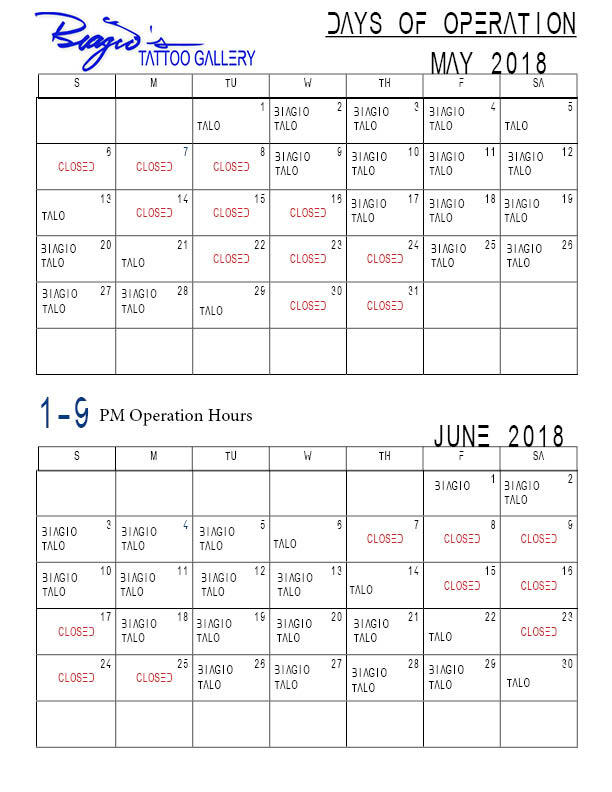 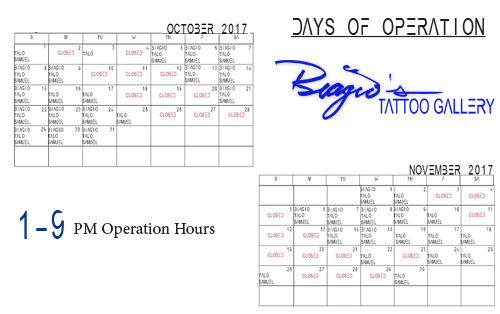 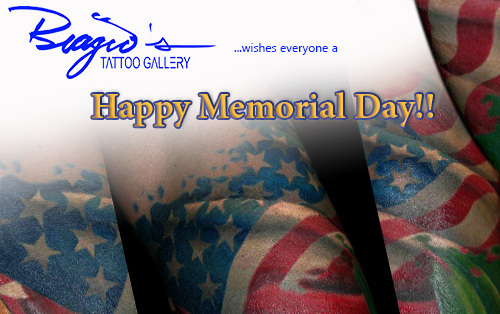 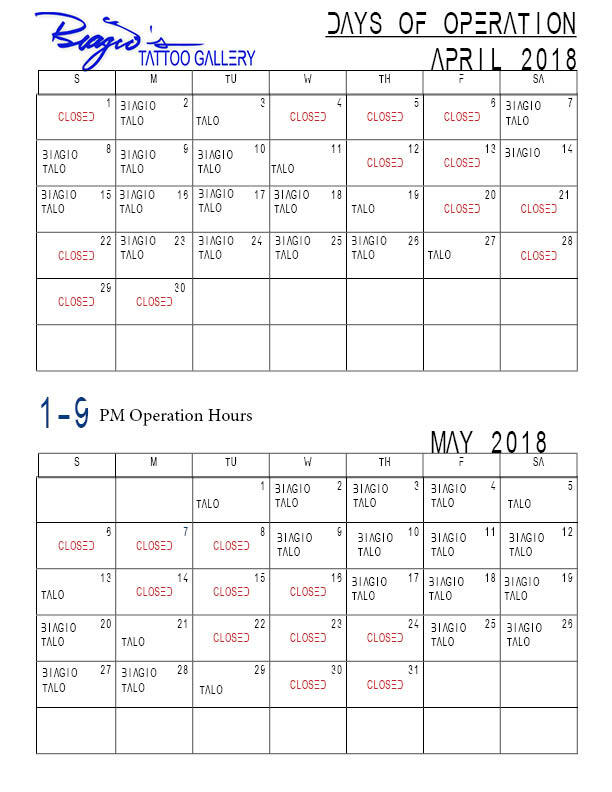 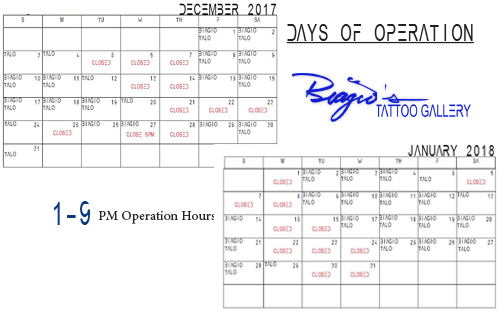 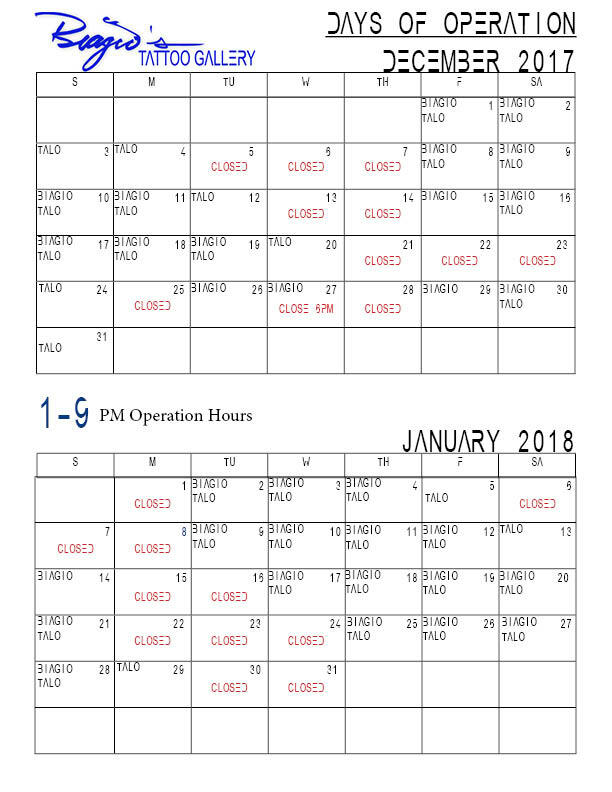 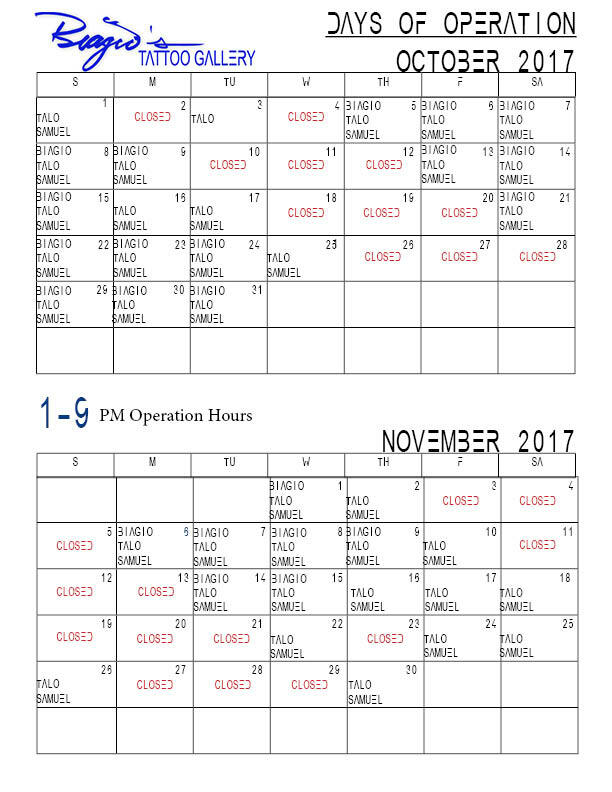 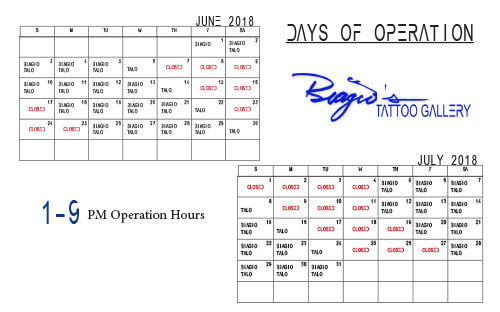 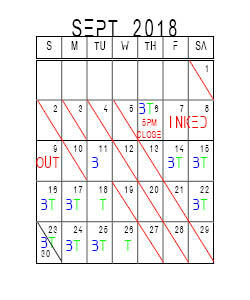 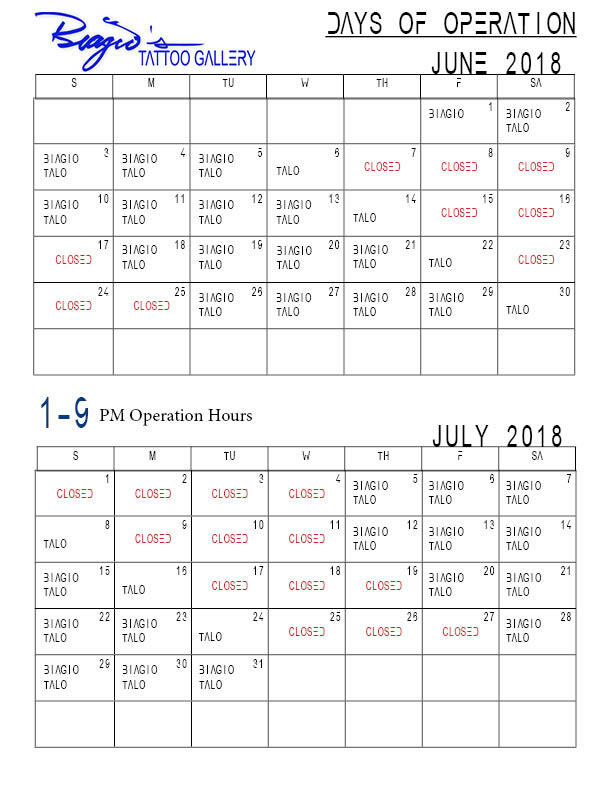 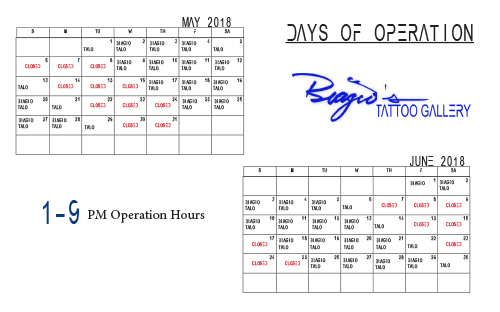 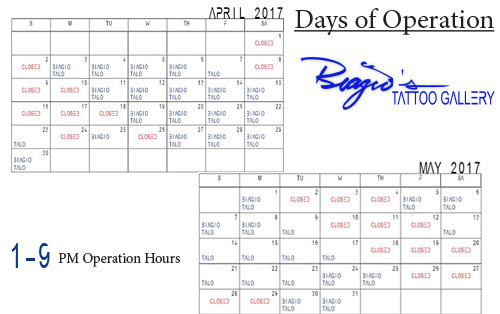 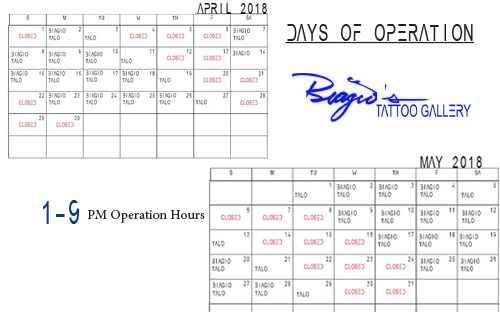 Biagio’s Tattoo Gallery is adopting a new schedule and will be closed May 2nd through 4th, 2017. 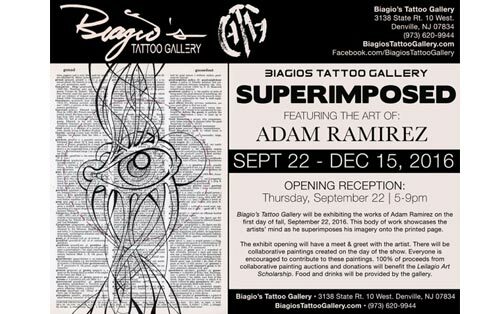 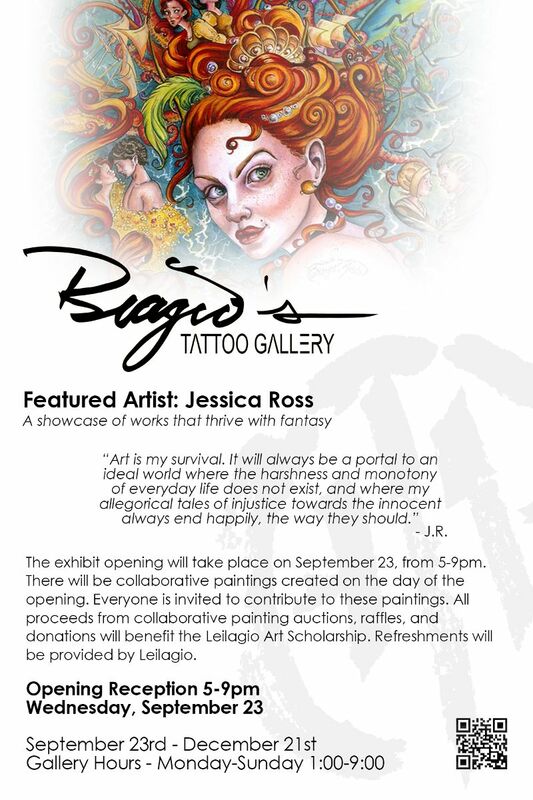 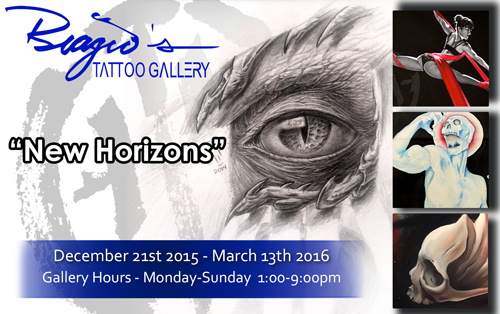 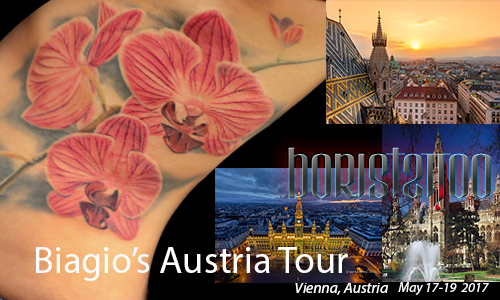 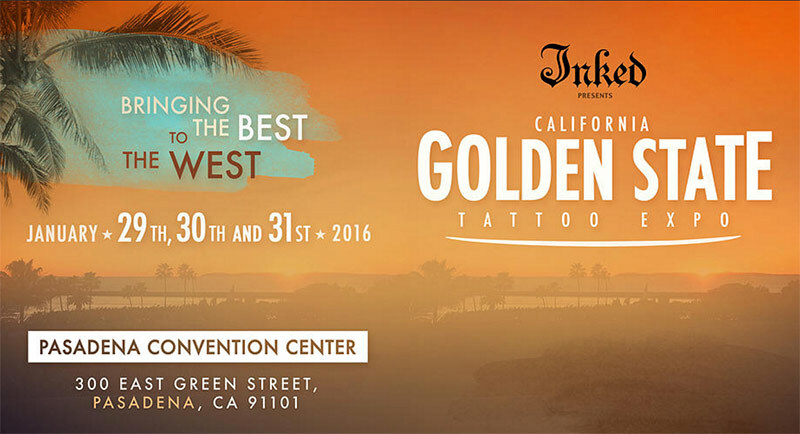 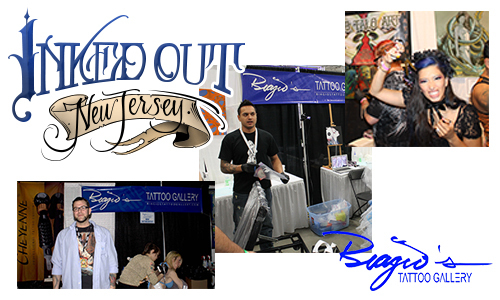 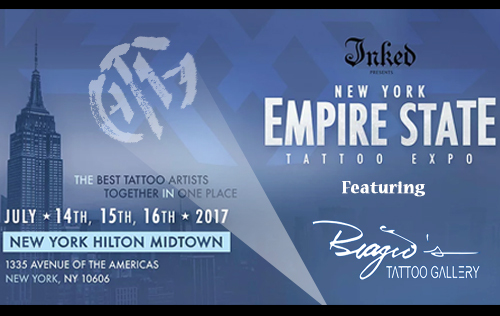 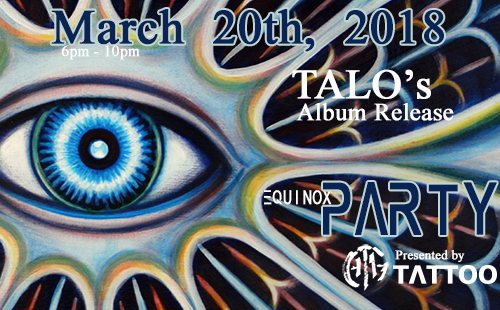 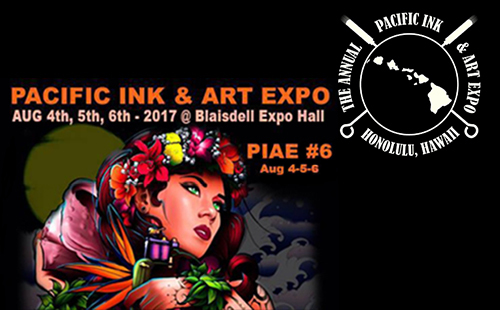 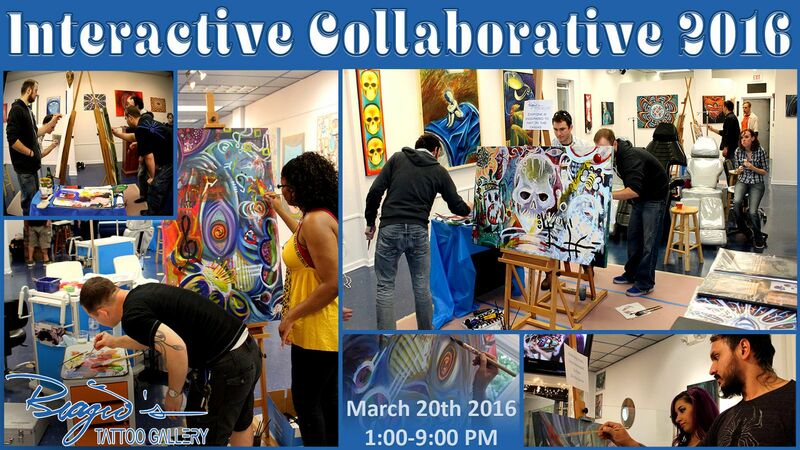 Biagio will be at the California State Tattoo Expo. 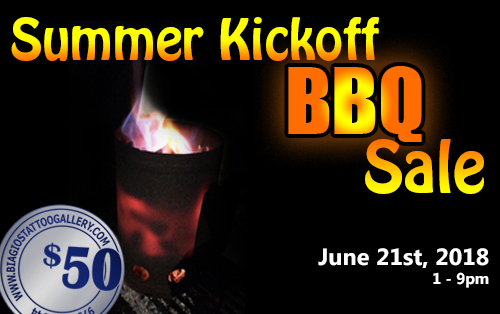 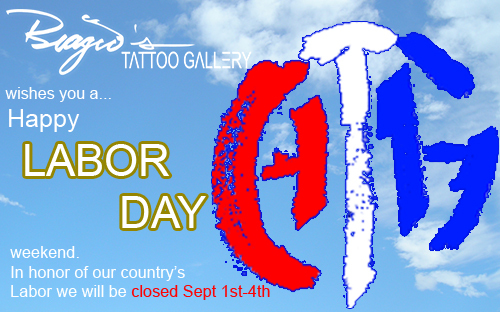 Stop by to say hello and get tattooed!